This report gives you an overview of how each of your segments overlap, allowing you analyse segments with high overlap thus finding out more about your audiences. Click on the 'filters' list at the top of your page to see your filters and make edits. Comparison Segments - These segments are your explore audiences for when you have a specific hypothesis you'd like to investigate. 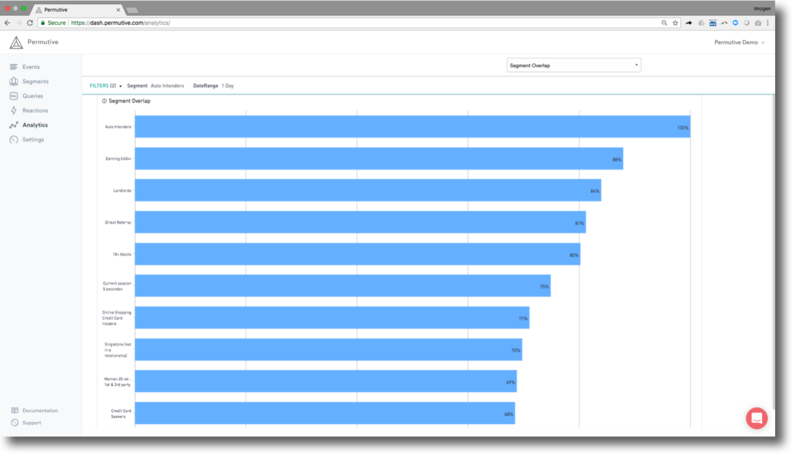 If no comparison segments are selected, the report will return the top 10 results with the highest overlap. The aim of the report is to help you find high overlapping segments. Finding unexpected overlap can help inform the building of new, high-performance segments and can also provide key insights into your audiences and their interests. Overlaps work in percentages, the higher the percentage, the higher the overlap. Hovering over the different bars shows you the the number of uniques in each Comparison Segment.